Last week, I talked about comparing yourself to others and how focusing on the things you don't have take away from you enjoying the life you have already. I spent the week reflecting on why I compared myself to others and looking really hard at what I wanted out of life. You know, the usual. So for the month of October, I'll be focusing on improving. 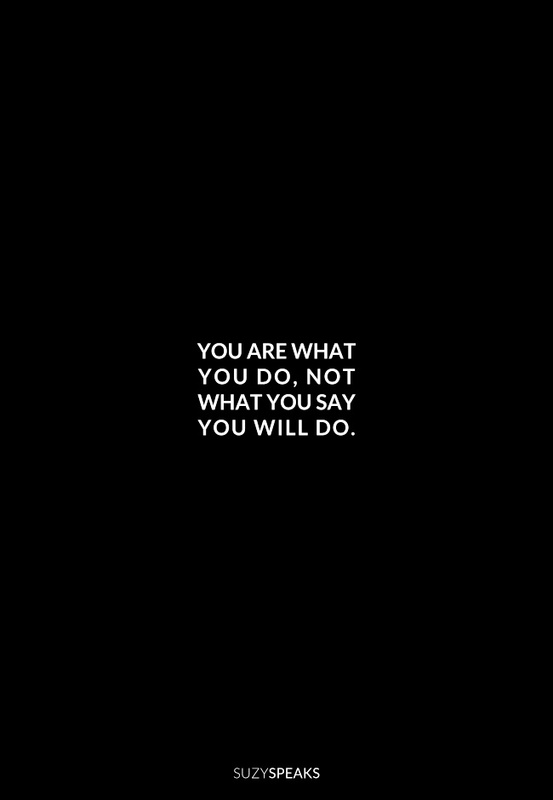 I pinned this quote on Pinterest a while back because it really made me think about my words and actions. Am I backing up the things I say by actually doing what I say? Lately, I don't feel like I am. For example, I literally say every single day that I'm going to workout when I get home so I can lose a bunch of weight and blah blah blah. You know, the thing every girl always says. Well I was talking to a friend about running a 5K and they were like, "What? That involves exercise. You don't like to exercise." And I thought to myself, "What the heck. I am exercise, like, all of the time - why would they even think that?" Then I realized that's probably because I always say that I'm going to work out but never follow through. Your reality and someone else's reality of you can be completely different. It throws you off when you realize it, but you have to wonder what you are doing that makes them view you a certain way. Are you all talk and don't ever walk the walk? This week, I challenge you (and myself) to to do at least one thing you've been talking about doing for a while but have been putting it off. I'm going to focus on working out and cooking healthy meals. Would love to hear what you're going to focus on this week!